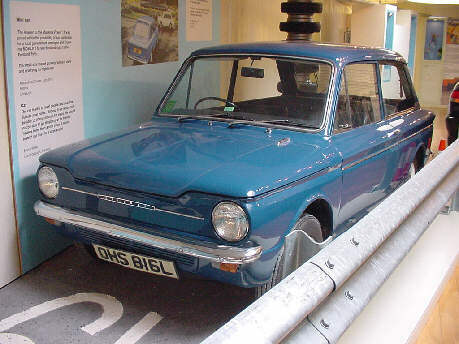 This is a picture of a Hillman Imp Motor car. Now regarded as a classic car it was launched by the Rootes group in 1963. The rear engined Hillman Imp were all built in a brand new factory built in Glasgow with government grants. This picture was taken at the National Museum of Scotland.